I just, I just…want my 16 hours back. KBS2‘s Monday/ Tuesday drama Mi Rae’s Choice, aka Marry Him if You Dare aired its final episode today. Needless to say the last hour could not save this train wreck of a show. I am still confused how I stuck it out until the end, to be honest. I guess my resolve has strengthened – which in the case of drama watching can be a bad thing. For the plot and characters see the first impressions post. For the mid series hopefulness check out this review. Mi Rae’s Choice started out with romantic comedy promise. 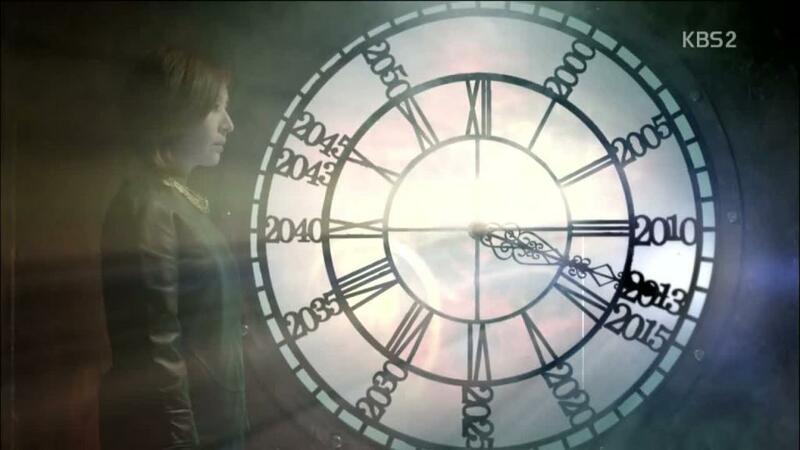 True, the time travel mechanism has been seen again and again in dramas, but the premise of this show could be seen as a fun and zippy take on the whole idea (yunno, once you get over the fact the entire reason for the time travel had to do with tragedy and hate). Future Mi Rae acted as the catalyst to this story – her character was set to change her past at all costs. We had present day Mi Rae resolute to do her own thing. We had fate rearing its righteous self and we had choice b**ch slapping fate upside the head. Then they gave Yoon Eun Hye a perm from the depths of hell. And then they sent in a lazy time cop. And then I came to the realization that Future Mi Rae is kind of a *inappropriate word*. Oh, and then they gave us an ambiguous ending for a show that really, desperately needed at least one plot point set in stone. In other words, show-you f***ed up. 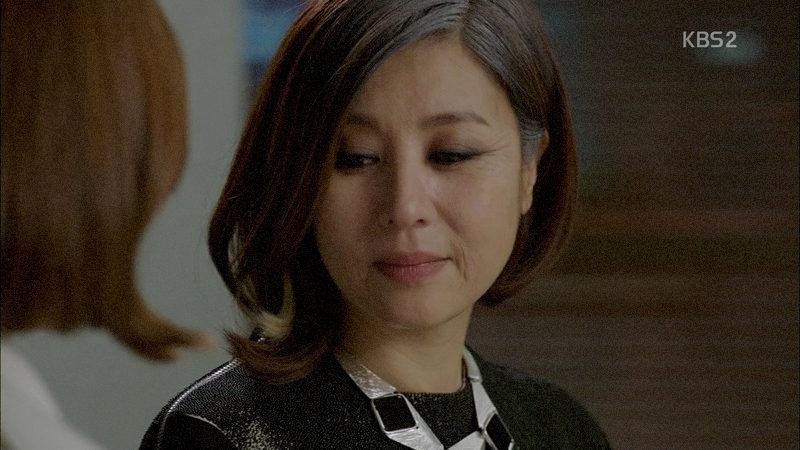 In the final act we learned that Future Mi Rae’s journey was essentially one long therapy session (I do love Kim Shin after all! I can accept my kid’s death- it was not his fault) which was paid for with the present day characters’ lives. But don’t worry, they kind of hugged it out at the end. Which in and of itself is ridiculously poor plotting. Trying to pinpoint the moral of this story is hard, largely because the main characters were selfish, foolish, or selfish and foolish. I want to believe that this was an understated story that highlights the importance of choices, but I am left feeling as though there really was no point other than to introduce us to a theory of parallel universes. Because if life gives you lemons, be assured that in the next universe you are dining on steak. Or something like that. I think. The way Mi Rae’s Choice acted early on, I was ready to see how choices can make all the difference in a meaningful and surprising way. If your future self comes back to change things, it does not alter the fact you are your own person with an ability to live your life the way you want to. I wanted to believe that present day Mi Rae could grow into her own self and make her own decisions. In the end I just felt like Se Joo was a jerk and Future Mi Rae was insensitive and selfish. I think. Because we really don’t know how it ended. All of which once again makes me realize that this show went far afield from any kind of meaningful tale of personal choice- because the story failed to make such choices logical or relate-able. The show spent half of the episodes trying to convince everyone that Kim Shin and Mi Rae would hook up no matter what (fate? choice? Both?) and it ended with the two of them seemingly going their separate ways (choice? I am so confused). One could argue this is the side of choice winning, but it was not. In fact it was the signal that neither fate nor choice won- the ending was left completely open. The ambiguous ending was a major failure for this show, because it needed some kind of closure to something. If you put on a show about fate versus choices, you better pick one. Instead there was a wide open who knows. P.S. You are not getting your Pearl Jam CD back. Do not even think about calling me. I am over you. That said, though, this was an excellently written, entertaining review, and I enjoyed reading it a lot! Um.. (small) silver lining?